Founded in 1994 in Vienna by DDr. Karl-Georg Heinrich, the Clinic DDr. Heinrich® now enjoys a worldwide reputation for minimally invasive, gentle treatments for improving, rejuvenating, and regenerating the body. DDr. Heinrich is a board-certified general practitioner* who works in the areas of therapeutically indicated aesthetic surgery and regenerative medicine. Anti-aging medicine and endocrinology are amongst the types of treatment he focuses on. 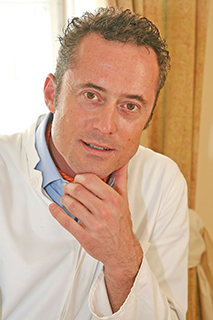 He is a Diplomate of the World Academy of Cosmetic Surgery (WAOCS) and as one of the first Europeans, he has successfully completed the Board Certification** within the context of the WAOCS, under the strict conditions of the American Board of Cosmetic Surgery, and is a certified aesthetic surgeon in the category of Dermatologic Aesthetic Surgery. DDr. Heinrich holds patents for inventions in medicine such as special microcannulas for liposuction. His scientific work and his longstanding focus on body fat and its therapeutic potential enabled him to participate in new therapeutic developments and improvements. DDr. Heinrich has been interested in aesthetics, art, and photography since he was young. This interest played a decisive role in his decision to pursue aesthetic medicine as a career. DDr. Heinrich studied medicine and jurisprudence at the University of Vienna. His particular interest in the legal field naturally relates to medical law and all aspects of law concerning medical training and the healing arts, including aesthetic medicine.